For the second consecutive game, LSU’s shooting was subpar. The Tigers made 37 percent of their field goal attempts at Texas A&M on Wednesday night. Unlike the previous game at Missouri where it shot 35 percent from the field, LSU pulled away in the second half for a comfortable 15-point victory. No rally and no overtime were needed as was the case at Columbia. 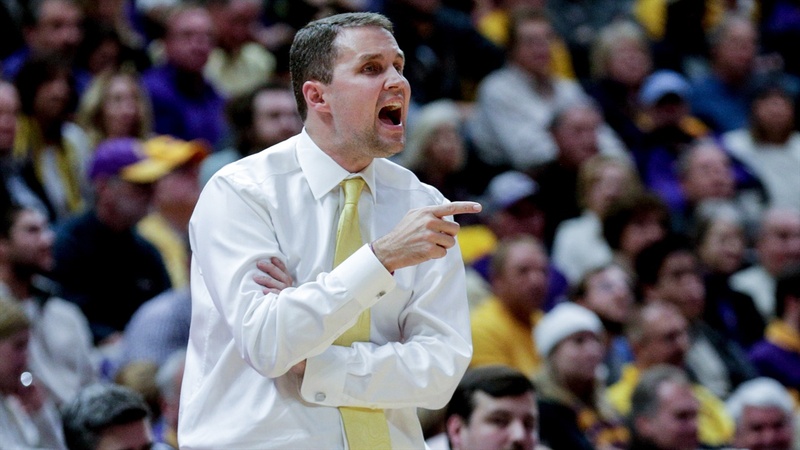 The manner in which the Tigers handled business against the Aggies pleased coach Will Wade. Tremont Waters was LSU’s star of the game with his season-high of 36 points. He knocked down six 3-pointers, the most in his career. Wade gave credit to Waters for what he did on both ends of the court. In addition, he identified a number of other Tigers players for being responsible for the victory. “Tre was tremendous on offense,” Wade said. “But, he set the tone with the way he guarded (TJ) Starks from the start. Skylar Mays had one of the best defensive performances I have ever seen against (Wendell) Mitchell. He was 1-for-8 after scoring 22 points in the second half against Kansas State. Finally, Wade gave an example of how this team is developing. The player he referenced was Naz Reid, who missed nine of his 11 field goal attempts. LSU will go for its 11th straight victory and an 8-0 record in the Southeastern Conference when Arkansas comes to the PMAC on Saturday (5 p.m. Central/SEC Network). The Tigers, whose 17-3 overall record is their best in 38 seasons, is getting some notoriety from numerous college basketball analysts. Wade understands that LSU has not accomplished anything substantial so far this season. “We didn’t come here to win 17 games,” Wade said. “We have set ourselves up to have a big month-and-a-half. Now, it is time to make things happen. The bigger the stuff is around you, the more you must narrow your focus. If you let all that other stuff leak in, you’re in trouble. What’s right now for the Tigers is a rematch with Arkansas. The Hogs have won their last two SEC games against Missouri and Georgia – both at home and both by double digits. The Razorbacks have lost two of their three road conference games – by 17 points at Ole Miss and 19 points at Tennessee. Arkansas rallied to force overtime in the first meeting between the teams. LSU ended up with a 94-88 victory over the Razorbacks. Reid had 27 points. The Tigers had no answer for Arkansas post player Daniel Gafford, who finished with 32 points.